High temperature cauteries are used for procedures such as pinpoint hemostasis, evacuation of a subungal hematoma, controlling diffuse bleeders, vasectomies and sculpting woven grafts. 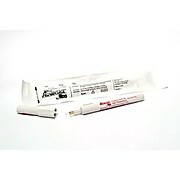 Low temperature cauteries are used primarily for ophthalmology. Battery operated. Individually packaged. Sterile.